Check out the awesome work of Ray from our team in partnership with Community Connections for Youth towards keeping youth out of the juvenile justice system and positively connected to community! Timely. Figueroa works with a grassroots nonprofit called Community Connections for Youth (CCFY), running an urban garden in Brook Park. It’s one of the organization’s so-called diversion programs for youth involved in the corrections system, providing “productive activities for young people to engage in, in order to avoid criminal activity. “The CCFY initiative here … was responsible for really bringing this vision to bear, of– let’s look at community based resources that can help address this issue [of youth incarceration] and provide community-based alternatives to incarceration of young people,” said Figueroa. 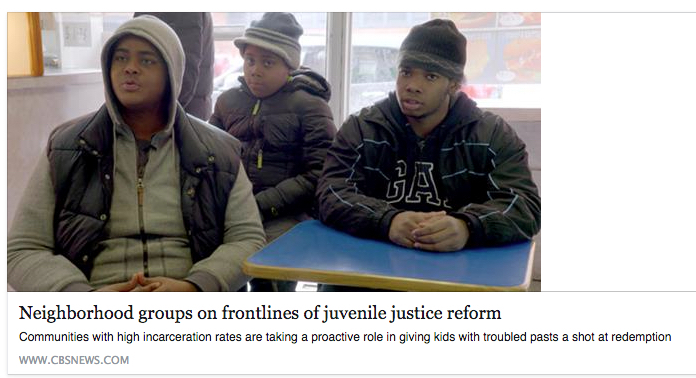 Juvenile justice reform and diverting youth from incarceration has gained momentum among the state’s policymakers. Gov. Andrew Cuomo recently launched a campaign to raise the age of criminal responsibility in the state – from 16 to 18 – while also stressing the importance of community programs to complement this kind of legislative reform. “Over the course of three years, in excess of 100 youth that were involved in the program were successfully redirected firm being incarcerated,” said Figueroa, referencing a three-year pilot program implemented by CCFY and certified by the John Jay College of Criminal Justice. The program found participants were significantly less likely to be rearrested, and the youth they served remained involved in community support networks beyond the duration of their court mandates. Leiva was arrested last year and spent a few nights in jail in Brooklyn. “I was with my friends, hanging out, and one of them had a gun. … We was playing on the roof of a building, so they charged us with trespassing too,” he said. “I remember Ray came into court and gave the judge a letter. I don’t know what the letter said, but they let me go,” he said, smiling sheepishly. Leiva is in his final year of high school and says he would like to go to the University of California, Berkeley. Groups like CCFY work with the Department of Probation in neighborhoods with high incarceration rates. Mott Haven has many so-called “million dollar blocks” – blocks full of people who end up in the criminal justice system, costing the state millions. “Probation has taken a different approach, basically,” said William Coachman, who has been a probation officer for more than 25 years. He currently works out of the Probation Department’s South Bronx NeOn building, across the street from Bronx Family Court. The South Bronx NeOn building offers classes for children, after-school and community activities, and a communal space for visitors. New York’s five Family Courts, which have jurisdiction over juvenile cases, refer about 4,500 youth to the Department of Probation every year. Currently, 16- and 17-year-olds who commit a crime are treated as adults and not juveniles and these cases go through adult criminal court. A bill is currently pending that would raise the age of criminal responsibility and transfer 86 percent of cases involving 16- and 17-year-olds to family court. Many of these would end up with the Department of Probation. 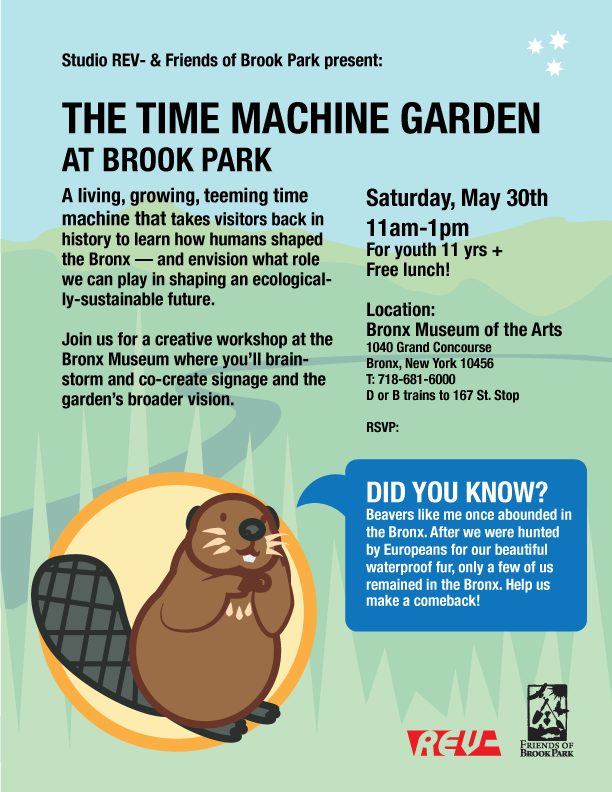 A living, growing, teeming time machine that takes visitors back in history to learn how humans shaped the Bronx — and envision what role we can play in shaping an ecologically-sustainable future. 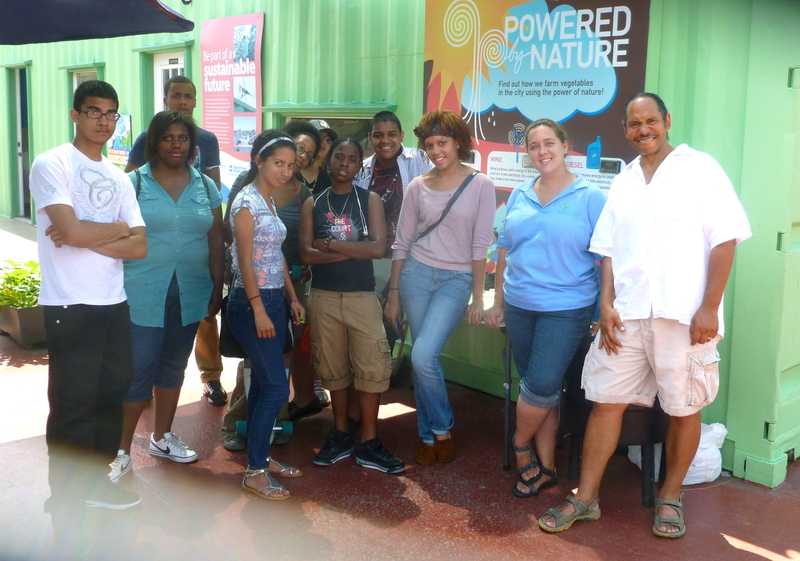 Join us for a creative workshop at the Bronx Museum where you’ll brainstorm and co-create signage and the garden’s broader vision. Register and RSVP online here. Sign up for the Summer 2015 Farm Share! 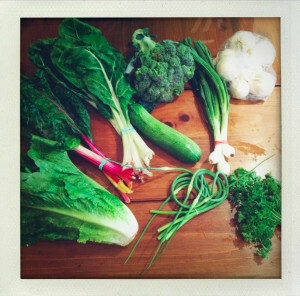 It’s time to sign up for the Summer 2015 Farm Share! This season, we are offering a one-size mixed share. The share includes 8 to 11 types of vegetables along with 1 or 2 types of fruit, and a weekly rotation between dried beans and multigrain tortillas! * Egg Shares: A dozen brown antibiotic-free, hormone-free eggs, laid by the pastured chickens at Handsome Brook Farm. * Fruit Shares: Two additional fruit items grown by New York State farmers. Check our expanding list of sites here, which offer distribution on either Tuesdays or Wednesdays. We’ll be adding new sites within the next couple weeks, so stay tuned! Want to see all the details? Check out our Summer 2015 Farm Share Guide. Also see our FAQ and Shareholder Commitment. Ready to enroll? Go to www.corbinhillfoodproject.org and click on Summer Farm Share! Summer Share deliveries will be for 23 weeks, from June 16th to November 18th, the week before Thanksgiving. Questions? Email us at farmshare@corbinhillfarm.com or call us at (718) 578-3610. We are looking forward to the new season! Hope to see you soon. Let’s Barter Around the Block! The first gathering will be on Saturday, April 25th, at 2pm. Location will be Brook Park Community Garden (between Willis Ave. and Brook Ave., on the north side of the garden facing 141st Street). Look for a group of people gathered in a circle. There will be barley tea. Feel free to just bring yourself and your friendship. Please write back to mention if you will be joining! Para que la gente se reuna en el Brook Park cada various meses, como vecinos y / o miembros de la comunidad que organizan aqui, para reunirse, para saludarse, para tener un intercambio de amistad, habilidades y energías .. .
Vamos a Trueques Alrededor del Bloque! La primera reunión será el sábado, 25 de abril a las 2 pm. Lugar será Brook Park Community Garden (entre Willis Ave. y Brook Avenue, en el lado norte del jardín frente a la Calle 141). Busque un grupo de personas se reunieron en un círculo. Habrá té de cebada. Siéntase libre de simplemente llevar a si mismo y su amistad. Por favor dejeme saboer si se unirá! Participants of all ages will visit sites along the community-designed Mott Haven-Port Morris Waterfront Plan, including the proposed Lincoln Avenue waterfront park, the 132nd Street pier and the historic Port Morris gantries. Participants will also learn about local organizing campaigns against subsidies to the trucking company FreshDirect as well as pollution and unjust land use from polluting fossil fuel power plants and waste transfer facilities that line the Bronx Kill waterway. Hurricane Sandy hit this flood zone during low tide, causing 4.5 foot flooding in the area, with forceful waves that ripped a pier from its concrete foundation. The tour, organized together with Times Up!, will highlight the community’s longstanding vision for the public waterfront land, who is working with the community and who is working against the community. At 1:30, we will return to Brook Park to join Friends of Brook Park, Per Scholas and New York Restoration Project in providing 100 free trees as part of the MillionTreesNYC initiative. The Partnerships for Parks Conference provides community groups, park supporters, and open-space advocates an opportunity to unite and learn how local park stewards strengthen neighborhoods and improve the quality of life in New York City. We are excited to share a day with park enthusiasts from all five boroughs and to share best practices, tools, and resources we have honed over our 20 years of successfully supporting community partners and transforming communities. Some featured speakers will include NYC Parks Commissioner Mitchell J. Silver, FAICP and NYC Council Member and Chair of the Committee on Parks & Recreation Mark D. Levine along with representatives from leading nonprofits and advocacy groups. Following your registration and in advance of the conference, check our website for more information on speakers and workshops. Tree giveaway registration is now open! Yes, a FREE tree! It’s time! It’s time to register online for a free tree. You have two weeks to reserve a free tree online here. Friends of Brook Park in collaboration with Per Scholas is excited to announce our first Tree Giveaway at Brook Park. Choose one of four tree varieties: Serviceberry, River Birch, Eastern Redbud, or Chokecherry. 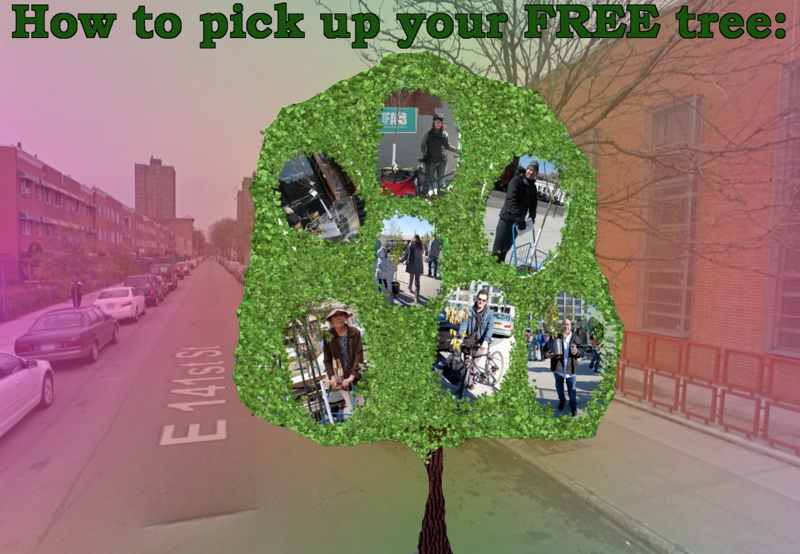 Your free tree will be available at Brook Park on Sunday April 19th. You’ll have a whole hour at the beginning of the event to pick it up. If registration is full or you arrive after the first hour, a limited quantity of trees will also be available on a first-come, first-served basis at the event. Why a free tree? Our boroughs need them, especially the Bronx. Is this tree REALLY “free”? Yes! We have the New York Restoration Project to thank. It’s through the MillionTreesNYC initiative. Your free tree must be planted in one of the five boroughs but it is our goal that the majority of these trees will be planted right here in the South Bronx where they’re needed most, where the highest asthma rates and the least greenery exist. Trees reduce pollution, provide shade on hot summer days, provide habitat for wildlife like songbirds, and they cheer up our concrete jungle. 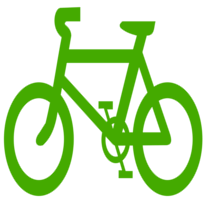 This two hour Tree Giveaway event immediately follows the South Bronx Unite annual bike tour. It’s free too. Join us! Opening reception Friday, March 20th, 6-9pm, at 305 East 140th Street, Bronx, NY. 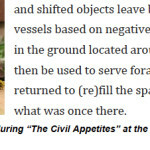 Food Systems, Surroundings & Sensibilities. March 20th from 6 to 9pm at BRAC’s temporary gallery space in Mott Haven, the Bronx. or a bloody side of beef. 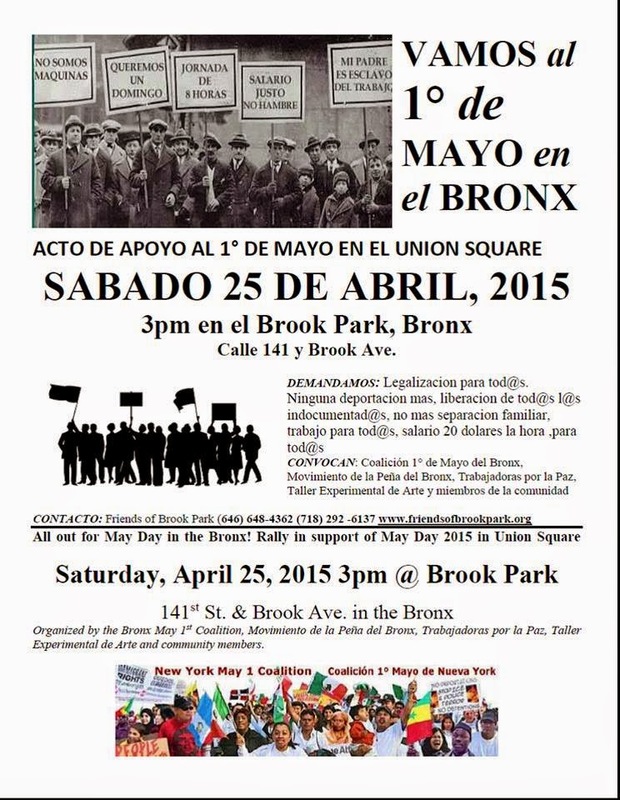 social and political issue, most importantly specific to the Bronx. are supported, in part, by Con Edison, the 42nd Street Development Corporation, and the generosity of our patrons. Borough President Ruben Diaz Jr., Councilmember Ritchie Torres, and members of the Council’s Bronx Delegation. 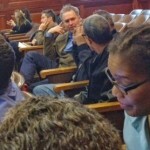 City, with the goal of creating a horizontal financial flow between social movements. 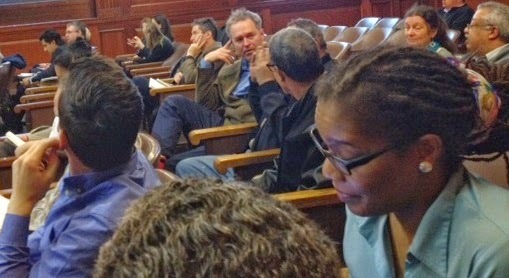 advocates for environmental justice, waterfront access and green space development.